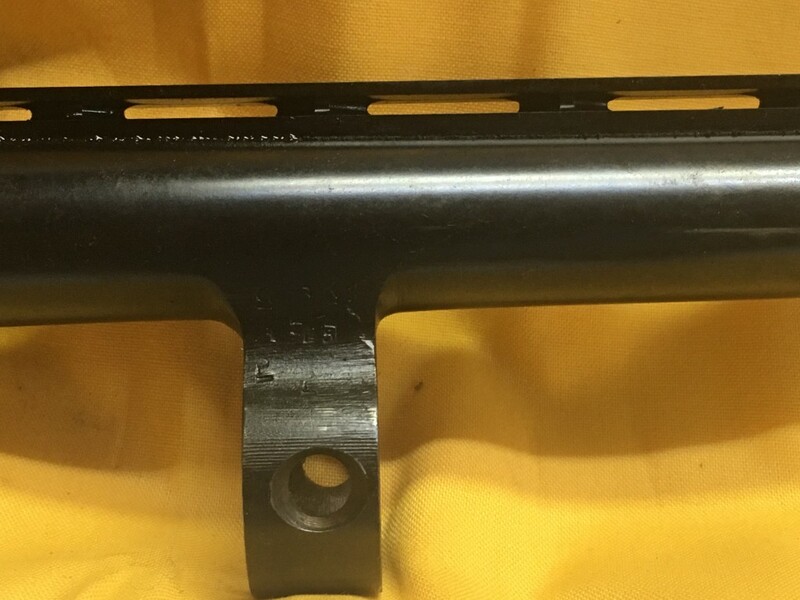 We install vent ribs on your shotgun barrel or ours. Roy Dexter, Master Shotgun Barrel Mechanic, is one of the few in the country that can install ventilated ribs on shotgun barrels. The new ribs are iodized aluminum and will not rust. The new rib is so dark that it looks like a factory rib. Ribs are guaranteed not to come loose or come off the barrel. Roy also does repairs on shotgun barrels such as remove bulges and dents, s-t-r-e-a-c-h illegal barrels back to original legal length, straighten bent barrels, silver solder magazine lugs to barrels and rebluing. Your barrel, install new rib………………………………$150. Our barrel from our stock, install new rib………… .$100. Don’t get in a hurry! Since there are so few Master Shotgun Barrel Mechanics in the country and so much demand we are running MONTHS behind. If you have to have your barrel fitted with a rib right away – go someplace else. Roy in Memphis: 901-484-3564 for address to send your barrel.